The Karot Hydroelectric Power Plant (KHPP) which is being constructed at Jhelum River is the first project financed by China’s $40 billion Silk Road Fund. The construction of this project began at the end of 2015 near Karot Village. The Environmental Impact Assessment EIA of the project has been carried out by Environmental Protection Agency, Punjab and Azad Kashmir. The sponsors of the project include Karot Power Company Ltd. (KPCL) / CSAIL/ CTGI /CTG (China Three Gorges). The CTG was also responsible for building the world’s biggest hydroelectric power plant in China with 22.5GW capacity. The run-of-river hydropower plant is being built on Jhelum River on the boundary between Punjab and Azad Kashmir with 720 MW power generation capacity. Ministry of Water and Power is playing coordination role for the project. The land acquisition award has already been done. The financial close of the project was achieved on 22nd February, 2017. 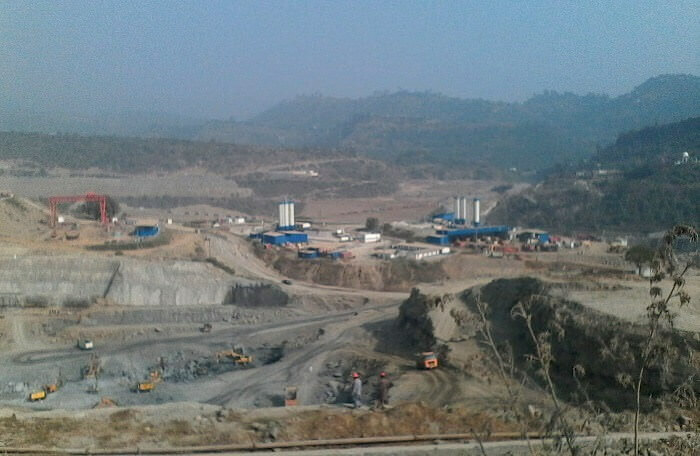 Construction of headrace tunnel, spillway, concrete batching plant, access bridge/road are in progress. Almost 25% civil work has already been completed. The Karot Hydropower Project will provide electricity in the region through renewable clean energy source i.e. water. The storage capacity of the project is 164.5 m m3 and it will create huge employment opportunity for local citizens. The hydropower plant would be able to provide electricity to seven million households. The ownership of the plant will be transferred to Government of Pakistan after 30 years of its operation by KPCL. Karot Hydropower Project recent photo of construction. Photo by author. Total costs for the project are estimated to be $2 billion, and is expected to be completed in 2020 ahead of its scheduled completion as work is being carried out at a fast pace. The KHPP is gaining trust from local people and it will boost the economy of Pakistan by providing cost-effective and clean electricity to the common masses. In last years, Pakistan has faced power outages of up to 18 hours a day and KHPP is expected to provide relief to electricity consumers in Pakistan. The author, Umeed Younis, is a graduate of FJWU and field intern at EPA Rawalpindi.